A total of 163 students and advisors from 13 secondary schools across the 41st Senatorial District had the opportunity to get a first-hand look at legislative and state government operations during a student government seminar I hosted on May 3 in the Kovalchick Convention and Athletic Complex at Indiana University of Pennsylvania. Students had the opportunity to see how state government works. 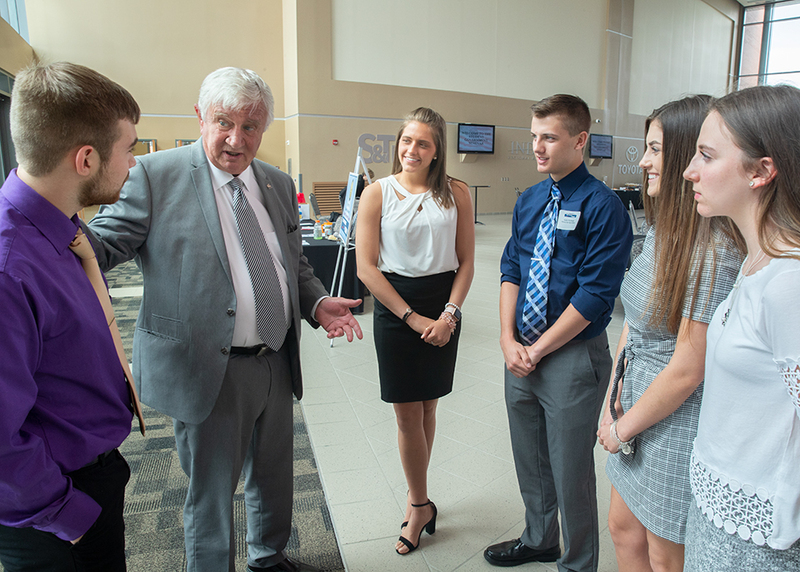 The attendees interacted with students from other high schools, elected officials and people in government relations while developing and voting on legislation as they served as members of the General Assembly. In the morning they were broken down into committees: Communications & Technology, Drug & Alcohol, Economic Development, Education, Environment, Health & Welfare, Judiciary and State Government to consider bills. The students came together as the “full Senate” in the afternoon to vote on the bills reported out of the committees. This law gives legal standing to people who are sincerely concerned for these children, but simply do not meet the conditions set by Pennsylvania’s custody law. Under Act 21, third parties can file for legal custody in cases where the parents are deceased or absent, provided they can show that they have a sustained, substantial and sincere interest in the welfare of the child. In many cases, these people have already provided support and/or previously performed parental duties. This measure also addresses the devastating toll of the opioid crisis on families across the Commonwealth, which can be especially heart-wrenching when it involves the innocent children of addicts who, because of their addiction, are unable to care for them. All too often, third-parties — especially grandparents — are called upon to care for the children of opioid addicts even though they currently have little to no legal standing under current state law. Act 21 will correct that and recognize in statute the role played by those caregivers. Senate Bill 844 received unanimous support when it was considered by the Senate and House of Representatives and was endorsed by organizations including the Center for Child Advocates and Pennsylvania Legal Services. Act 21 also includes a provision under which grandparents and great grandparents may file an action for partial physical custody or supervised physical custody in cases where the parents of the child have commenced a proceeding for custody and do not agree whether grandparents should have custody. I will join with Representative Eric Nelson to co-host a Senior Expo on Thursday, May 24, from 10 a.m. to 1 p.m. in the Delmont Volunteer Fire Department Social Hall, 2360 State Route 66, Delmont. Representatives from state, county and local organizations will be at the free event to provide information on numerous subjects of interest to older residents including health care, health screenings, insurance, nutrition & fitness, fire safety, personal safety, banking and local, state and federal agency information and more. Free refreshments will be provided. For more information, please call my Murrysville District Office at (724) 327-2422 or (724) 834-6400.